Explore new ideas, make new friends, learn new skills and dance with an open heart. A big adventure waits for you! The line-up reflects the rich variety of activities on offer at the festival, including: Events, Yoga Classes, Meditative Concerts, Sweat Lodge, Meditations, Sound Healing and Ecstatic dance. There are a huge number of workshops and events from Health and Nutrition, Personal Development, Ayurveda, Tantra and so much more! All our facilitators, presenters and artists joining us at Osheanic Festival from all over the world are passionate about sharing knowledge to enrich, support and enlighten everyone joining the Osheanic Festival. 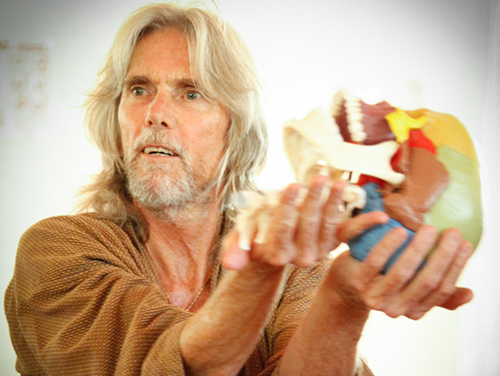 Activities are open to all levels, from beginners to experienced practitioners and seekers! Born in Mexico, graduated as a Medical Doctor from Anahuac University of Mexico. Founder of Conscious Medicine, a new holistic approach to healing, where he looks for the root cause of any symptom or disease including emotional, mental, physical, toxicological or energetical situations and works together with the patient to restore balance again, using various methods like TBM (Neurosomatic Rebalancing), GNM (Dr. Hamer´s German New Medicine), Transomatic Dialogue, Reiki, Theta Healing, Conscious Nutrition, Detoxing, Meditation and ancient body-mind healing methods, integrating the western and eastern approach to healing. Nirdosh is a certified practitioner of Transomatic Dialogue, Osho No Mind, Osho Mystic Rose and Osho Born Again Meditative Therapies (Osho Multiversity, India), 1st Akashic Process, Master Reiki, Dream Dialogue and Past Life Dialogue, TBM and GNM. He is an Awareness Intensive Instructor (Who is in? / Who am I?) certified by the Awareness Academy in Greece and the Integral Being Institute in Italy. 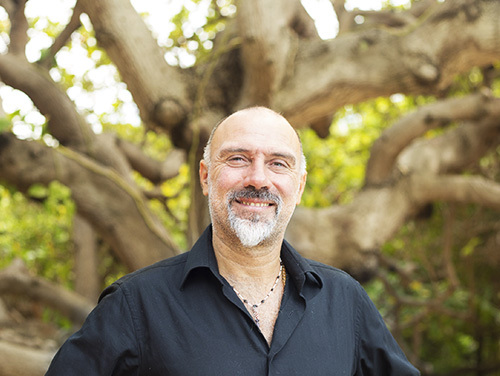 He offers workshops, trainings and individual sessions of Conscious Medicine, Primal, Active Meditation, Conscious Nutrition, Men´s gatherings, Osho meditative therapies, around the world and runs a Holistic Medicine practice in Mexico, Greece, Brazil, Romania and Turkey. She has a BA in History, Psychology and Education (Oxford Brookes University) and a Post graduate diploma in Methodology of Teaching. She has been working with children, teenagers and adults since 1992. 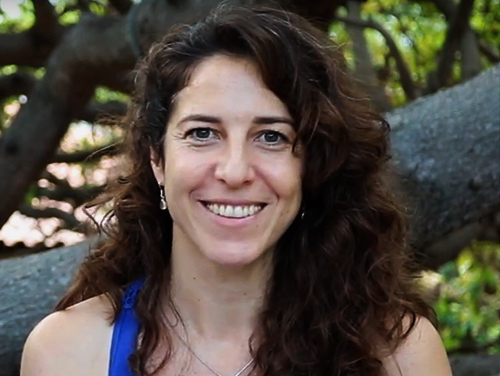 Co-founder of Conscious Nutrition (2007). This program brings awareness on the physical, emotional and mental patterns that limit the possibility of having a nourishing and balanced diet. Certified therapist in Primal (Childhood Deconditioning©), Tantra (Sexual Deconditioning), Healing Adolescence Process, Transomatic Dialogue, 1st Akashic Process, Dream Dialogue, Past Life Dialogue, Oshos Diamond Breath, Osho Art Therapy, Ayurvedic Massage for Women, Usui Reiki Master, Jikiden Shoden and Okuden Reiki, Detoxing, CranioSacral Therapy 1 and Somatic Experiencing©-Trauma Healing. Certified facilitator of the Osho Meditative Therapies: Osho Mystic Rose, Osho Born Again, Osho No Mind and Osho Reminding Yourself of the Forgotten language of Talking to the BodyMind. (Osho Multiversity, India). She is part of the Healing Adolescence Training team. She is passionate in finding ways to live a healthy and balanced life. She uses methods to bring awareness on a physical, emotional and mental level liberating past tensions and creating space for each individual she works with to discover a new way of living. She offers workshops, trainings, retreats and individual sessions in Mexico, Brasil, Greece and Turkey and other parts of the world. 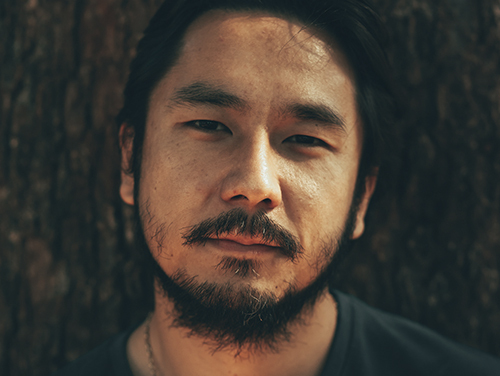 Devakant is a composer, singer, and multi-instrumentalist who has explored many sacred musical traditions of the world, including Gregorian chant, Indian Classical Music, music of Zen monasteries and Tibetan Temples, and shamanic traditions of Central America. 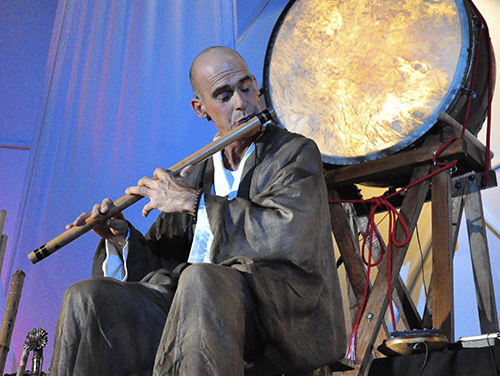 From these roots he creates a unique blend of sound and silence taking the listener into a world of mystery within, a place of peace, harmony and well-being. It is ideal for meditation, healing and energy work, relaxation, as well as for the pure enjoyment of beautiful music. General Manager of the Cóndor Blanco Foundation, Coordinator of CB Expeditions, Founder of Nyma Project and President of the Surya Padma Corporation. Contributes with her talent and creative vision to the development of the organization. She has been prepared in an unique way, receiving teachings straight from the most renown leaders of the most diverse lineages and paths, which has enriched her view of the world and the human nature. 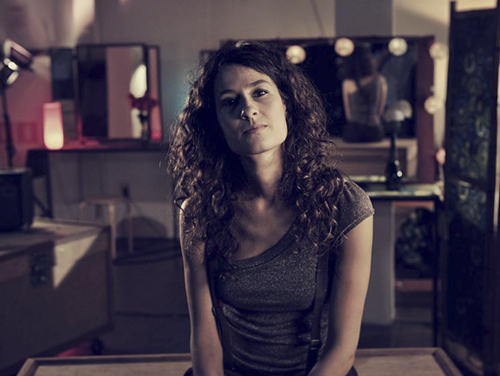 Multidisciplinary artist, photographer, yoga teacher, loves to travel and also a mother. Today she lives with her family at the EcoVillage The Mountain. Jiu-Jitsu black belt recognized by the Gracie School in SP, Fernando was a competitor for almost 10 years, when he met his Spiritual Master, Sri Prem Baba. At this moment Fernando began to redirect his Martial Art to the development of a loving conscience, when he began to develop the art of “O-DGI – The Awakening of the Inner Warrior”, uniting concentration exercises to self-knowledge, with a deep inspired body work in warrior postures and martial arts, making O-DGI a significant tool for self-development, which helps practitioners to be re-connected to the essence. Business Administrator from FEA-USP, author of the books 11 Days of Awakening and After Awakening, 3 times TEDx speaker. In 2016 he joined the list of the 15 most influential Linkedin Brazilians in the Top Voices award. He began his professional career in the corporate world, since 2008 he has been acting as an entrepreneur and today he is dedicated to creating programs of self-knowledge, sharing a new vision of work and life. Alan holds a Masters degree in Psychology from the University of Derby (England) and holds a degree in Economics and Mathematics from Cornell University (United States). He worked at Wall Street (NY Financial Market) for several years, and was a director and VP at major banks such as Morgan Stanley, Lehman Brothers, Barclays and UBS. Many years before his 16-year financial career, Alan went to live in India during one of his school holidays. There he began his meditation practice and study that accompanies him to this day. 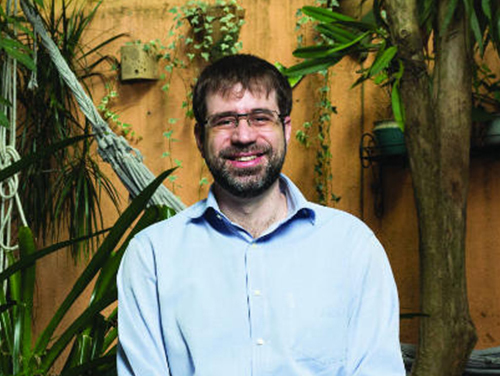 In the 1990s, at age 22, he founded one of the first Latin American Internet startups, Empresa.Com, and an NGO, Tribo.Net, which empowered hundreds of other NGOs in the new internet world. 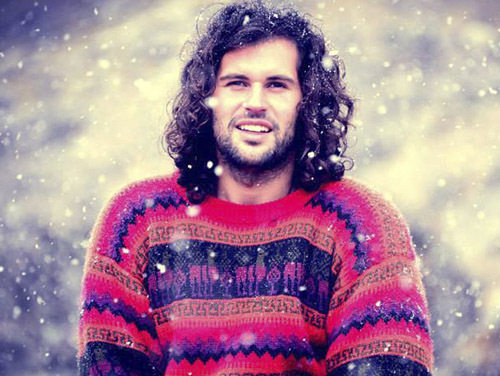 Later Alan moved to the USA to finish his studies and went to work in investment banks in New York. 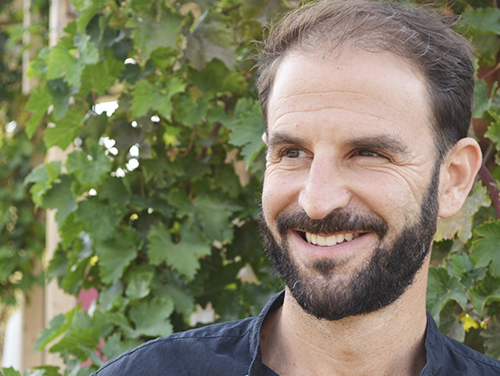 At age 39, back in Brazil, Alan left the financial market, rescued his vocation to teach meditation and started to spread a new kind of spiritual path, based on the contextual sciences of behavior, Functional Mindfulness. 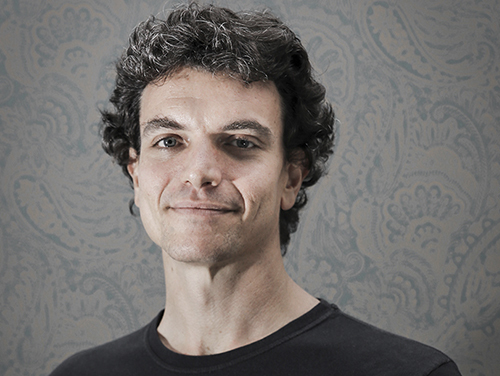 Today he lives in São Paulo and acts as a coach, speaker, writer and teacher. He is a member of the British Psychological Society and the Association for Contextual Behavioral Science. 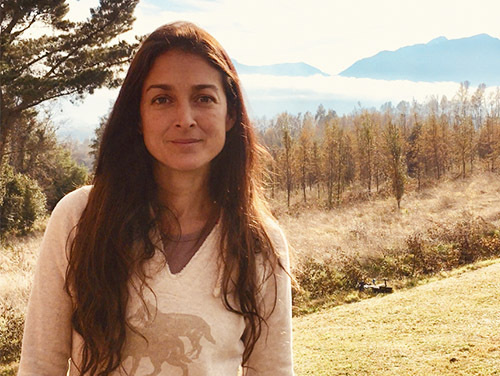 Graduated in Spanish and English literature, and specialized in Theatre Direction in her youth, Nataraj moved on to Therapy and body work after visiting Esalen in the 90s. Hence, she specialized in Dance and Movement Therapy (5 rhythms, continuum, sense-perception), Biodynamics (craneo-sacral and sensitive), Gestalt Therapy, Esalen Massage Practice and Tantra. When she opened the first training in Buenos Aires in 2007, she met Abhinavagupta, her current partner and assistant. 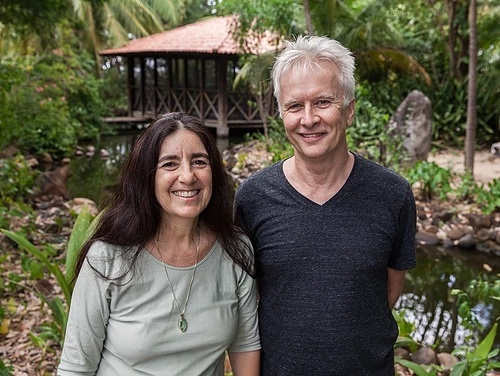 After living and working in Europe, U.S.A and Brazil Nataraj and Abhinavagupta currently run a Tantric Meditation Centre in Buenos Aires, devoted to Osho, called Jardin Paraiso, currently expanding to Brazil. Every February they organize Osho Carnaval Internacional in Buenos Aires. As a young man, Samadhi had lots of energy and doubts. As a seeker, he faced difficulties to find answers for his questions: Who am I? What am I doing here? What should I do now? Nothing that the conventional society gave as an answer calmed his rebellious heart. It was through Osho that he found a new vision of life; to realize his self-healing potential and to pass that knowledge on to others. Samadhi became an Osho Sanyasan (disciple), at the young age of 23. He initially lived in the Osho Community in Pune, India and later travelled, studied and lived in various Osho Communities in Europe. During this time, he found unique and pioneering ways to apply interpersonal dynamics for individual growth. They were intense years of inner work and transformation. His inner search took him to different communities and Buddha-fields: UTA in Germany, Humaniversity in the Netherlands and Gautama in Italy. In 1989 he came to Humaniversity, a Community and Therapist Training Center in the Netherlands. Here he met Vereesh, who became his mentor. This meeting and this school of living transformed Samadhi’s life, a heart connection that remains present in Samadhi’s life and work. In 1995, he concluded a four year therapist graduation course in the Humaniversity, becoming a Humaniversity facilitator and began working with people. This is an ongoing personal and professional journey that deepens and evolves with each year. Samadhi also obtained a Diploma in Osho Rebalancing, a bodywork approach that includes deep tissue massage, myofascial release, postural alignment and meditation. Some years later, he graduated as an Osho Rebalancer Trainer with Satyarthi Pelouquin. He is also a “Result Course” Instructor – Creative Consciousness Course – and leader of the HUMANIVERSITY AUM MEDITATION since 1992. Samadhi now lives at Oshobahia, where he co-created an Osho Neo-Rebalancing training school that follows permaculture standards. His work is the result of many years of inner search and studies with prominent humanistic psychology teachers. It is based on simplicity, direct experience, love and meditation. Bhaskar is a devotee of Amma Bhagavan, initiated to offer OM – Oneness Meditation. Graduated from Oneness University (India) as an advanced level instructor, he was also initiated to lead the process called Sacred Chambers. He runs the Oneness Satsang Center – Moinho (in Alto Paraíso de Goiás, Chapada dos Veadeiros). Bhaskar has also been a disciple of Osho since 1982, from whom he was given the name Devam Bhaskar (Divine Sun God). He lived in the community of Osho for two years when he had the chance to interview Osho three times for Correio Braziliense and Folha de S. Paulo, two of the main newspapers in Brazil. For his work in the field of child rights journalism, Bhaskar received the Special Mention of the National Human Rights Award from the Brazilian government. Anand Niranjana (whom Osho initiated with the name Blessed Goddess), is a devotee of Amma Bhagavan and Trainer of Oneness University (India). She runs next to Bhaskar the Oneness Satsang Center – Mill. A professional photographer in the field of performing arts and human rights, she works for national and international foundations and media. She received the Ayrton Senna Prize for Journalism, among others. She was blessed with invitations to photograph Osho darshans and also Amma Bhagavan. 20 years ago, Sasha found herself in a situation of emotional, mental and physical fragility. During a homeopathic treatment, she was advised to look for Osho’s work in Italy. That was how she began her experience of emotional cleansing and of becoming a therapist and healer. While healing herself, she learned and applied meditation, bodywork with bioenergetics, massage, shamanism and humanistic psychology (also known as the psychology of the Buddhas) techniques. Amid her own search, which took her on different journeys and to spend time with different Masters, she found her own mediumship and clairvoyance as well as her connection with Shamanism. After arriving in Brazil, she connected with Yemanja, an entity who arouse new knowledge in Sasha. After a while, she was also introduced to the Peruvian and Brazilian Amazon indigenous tribal knowledge of forest medicine. The Italian “cabocla”, full of life, gentleness and joy feels that her life is an eternal learning. Her journey and experience led her to be a teacher, healer and consciousness processes facilitator. Her humble heart says that it’s never time to stop learning. Sasha is a co-creator of Oshobahia. 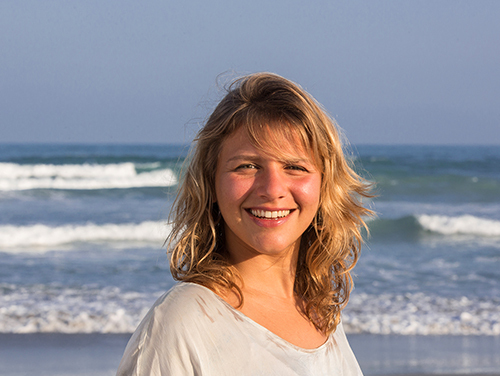 She is passionate about Osho meditations, shamanism, bodywork, healing and transmission of energy techniques. She is a “Via della Luna ®”(massage with shamanic ritual), “Structural Realignment” and “Osho Rebalancing” certified therapist. She is a “Healing and Massage” (massage for physical, emotional, mental and spiritual healing) instructor and Master of Reiki. She leads rituals such as “Resgate da Alma” (Soul Retrieval), “Trance Dance”, “Busca do Animal de Poder” (Animal Power Search) and “Chakra Healing”. She is an “Osho Neo-Rebalancing” and “The Mother Earth Call” (a shamanic experience) facilitator. For over 20 years living and sharing the teaching of Ayurvedic Yoga Massage in Brazil, following the Master Kusum Modak Indiana annually since 1996, participating as an assistant and teacher in trainings. 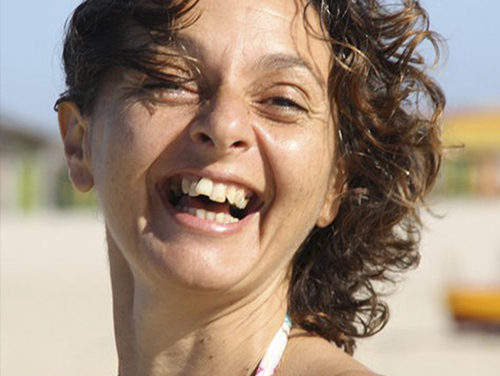 Since 1992, she participates in various training programs in therapeutic approach. Currently, facilitates groups of Pulsation and Rebirthing and professional training of Ayurvedic Yoga Massage in several states of Brazil. In his journey dedicated to the human development, to the meditation and the active paternity, Avinash shares in the individual sessions and in the groups he facilitates, a space of presence, self responsibility and shelter, accrediting that those are the essential keys for the self knowledge, emotional maturity and expansion of of life and consciousness. The work combine meditation and therapeutic tools as: Suchness, Focusing, Counseling, Tantra, Healing Heart & Trauma, Osho Prana Healing (Energy Work), Conscious Breathing and Body Awareness. 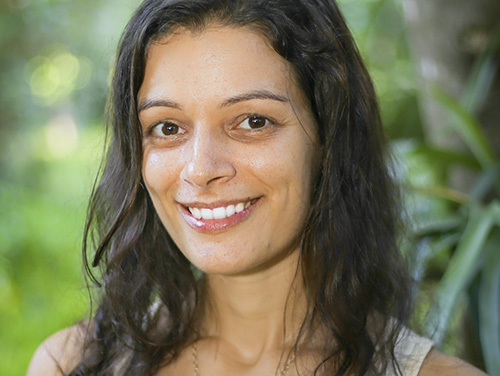 Gayana started with Body Work in 2009, investigating and understanding the human body deeply through working with Ayurvedic Massage Yoga and Conscious Breathing Therapy (Rebirth). Deepening in herself, she received a vast and intense personal training in other approaches to therapy, personal development and meditation, especially with Tantra, Tantra Breath Work, Presence and Synchronicity, Osho Prana Healing, Reading Energy, Heart and Trauma Healing, Suchness, Focusing, Aromatherapy and Medicinal Herbs, Food and Conscious Medicine and Active Motherhood. As a facilitator of human development processes, she acquired essential qualities to navigate in the interaction of body, mind, emotions and energy. In addition, she has the experience of living for years in a buddha field, experiencing the dimensions of relating with awareness, love and honesty. As a seeker, mother, surrendered to the magic of life, brings Meditation, truth and Love as the basis of her work in the World. With her sensitivity, intuition and dedication, she develops a work of awakening the beauty and unique potential of the various aspects of Being, both in the individual sessions and in the groups that she facilitates. 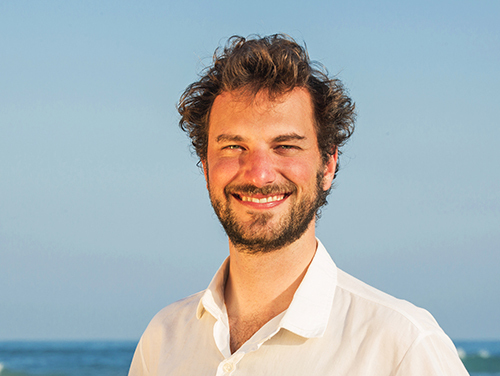 Graduated in Physiotherapy with specialization in Physiology Exercise at Unifesp, Andreas has been an Ayurvedic Therapist since 2009. After graduating in Ayurveda at the Dhanvantari Clinic in Brazil, he deepened his knowlodge with the classical studies of this science with Ayurvedic doctors, the famous Vaidyas in India. He teaches courses and workshops on numerous topics that involve integral health and Ayurveda in everyday life. 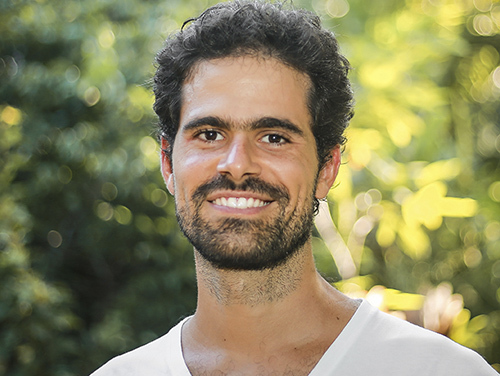 He has his practice at UnaYoga in São Paulo – Brazil, where he works with Ayurveda and is responsible for the course of Elementary Health together with Maíra Salomão, his wife and Health Coach and Teacher. Graduated from Anhembi University and Universidad Europea de Madrid. Hatha Yoga teacher since 2000, with continued deepening meditation trips in India, where she was a direct student of Kusum Modak Yoga Ayurveda Massage. 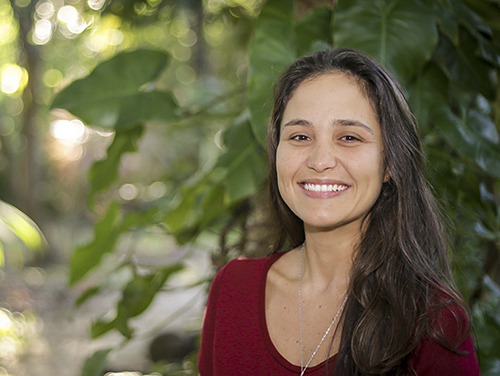 Postgraduate in Jungian Psychotherapy from Ijep – SP and graduated in the extension course of Floral Therapist from the University of São Paulo and at the Centro da medicina do floresta do Céu do Mapiá, Amazonia. 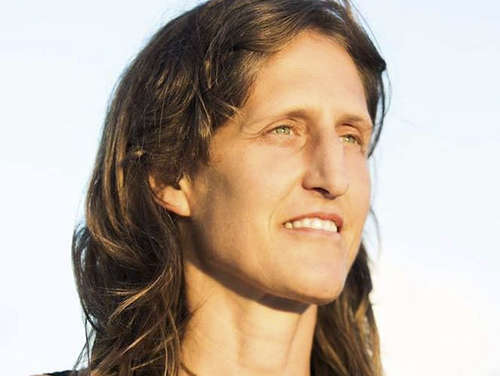 Currently attends her office in São Paulo and Ubatuba with a focus on integral female health and coordinates the training course in Ayurvedic Therapist Elemental Health, her brand along with Andreas Bruno. A Brazilian entrepreneur, videomaker, photographer, Cóndor Blanco instructor, in love with nature, lived for 8 years in the Ecoaldea La Montaña, in southern Chile, where he lived several experiences cultivating land and relationships through community living and also his work as beekeeper. He has traveled the world, visiting countries like India, Bali, Peru and Colombia, receiving trainings that combine ancestral and modern techniques of connection and self-knowledge. Graduated as a Guild Certified Feldenkrais PractitionerCM from a Professional Feldenkrais Training (1994-1998). Until 2015 she has offered group classes (ATM) and individual sessions (FI) in Chicago, US. Since 2015 she has traveled to various countries to offer this work, and since February of 2017 she is a Certified Feldenkrais Assistant Trainer. She has also completed the ARUN Conscious Touch Training 1 + 2; and earned 1+2 certification for Focusing. Before practicing the Feldenkrais Method she worked as a carpenter. Until 2015, parallel to the Feldenkrais Work, she established a sales company: BestMassage, a meditation center: Inner Metamorphosis University, and an organic vegetarian restaurant in Chicago. The combination of running businesses parallel to practicing the Feldenkrais Work gave her a treasure of life experience, knowing of people’s every day challenges, and knowing of how supportive this method can be. Now her work has developed to just working with people, with this method. In short, she is fascinated by self-exploration, through which she discovers her spontaneous and creative being, and guide others to catch fire to live this way. A beautiful seeker, who found in the teachings of the Osho Spiritual Master the reference and the inspiration for her personal and professional growth. 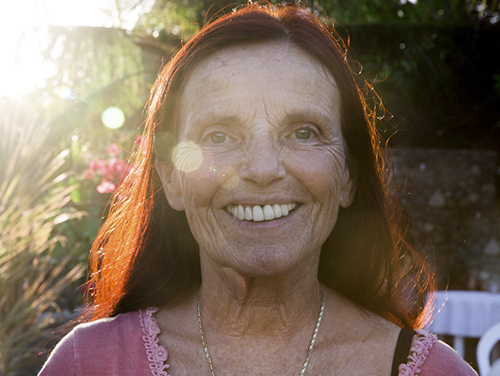 For 30 years she has been dedicating her life as a seeker and has in meditation the basis of her work with the various therapeutic approaches that she uses. She is trained in Arun – Conscious Touch with the creators Anubudha and Anasha, Yoga Ayurvedic Massage with the Master Kosun Modak, OPH – Osho Prana Healing with the co-creator Upadhi and Osho Zen Tarô, with its creator, Padma. 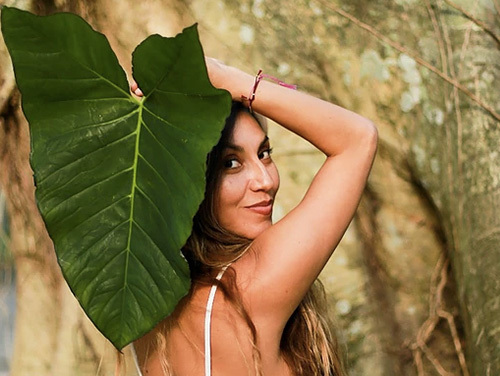 Graduated and certified as a Yoga teacher by the National Yoga Alliance, Paola leads the Self-esteem workshop, Delas (Yoga Experiences at the Sacred Feminine Mother Earth Festival and every year she gives yoga classes during the Relax and Meet Program at Osheanic). The vocational training in aesthetics allowed Kavita do observe the reasons that lead people to seek external beauty. This observation brought the desire to bring beauty to people’s lives in a way that the well being and inner joy could show the true beauty os Being. Responding to this call, in 2006, she started her career as a Holistic Therapist, seeking technical and life skills to bring this quality for herself and for her work. Deepened her knowledge in the area os massage whit Floor Ayurvedic Massage, Hot Stone and Cristals Massage and Garshana. She also whorks with Rebirthing, Energy Reading and Tantra, and is curretly doing Pulsation training. During the process of learning and personal developing, Kavita knew the work of Osho, experiencing numerous workshops and trainings in Portugal, Holland and Brazil. Currently she is living in Osheanic International, where she gives individual sessions of Breath Work, Suchness and Ayurvedic Massage. 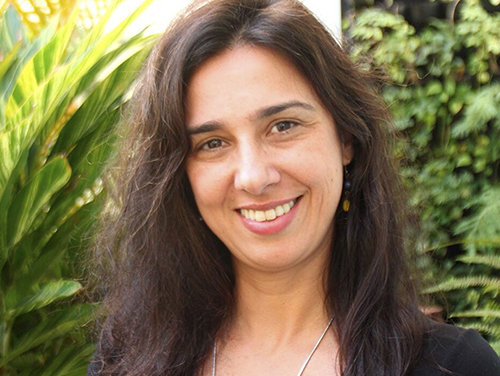 Nartan Lemos is a psychologist and body therapist for over 18 years. Specialized in the Inner Child Work for more than 15 years and therapist of the Institute Learning to Love, she is trained in Biosynthesis Body Psychotherapy and Bioenergetics, Body Reading, Massage Therapy and Bioenergetics. She started her career through ballet and lately she had the opportunity to combine dance with meditation. 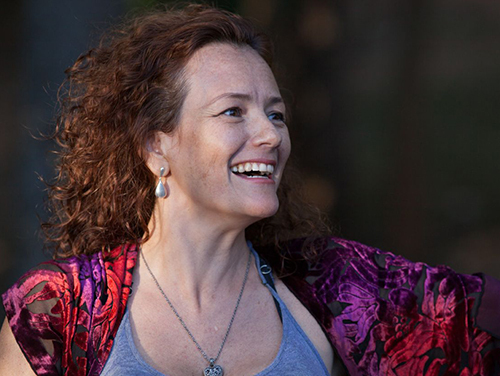 Trained in dance therapy, Gurdjieff Sacred Dances, Circle Dances and Brazilian Rhythms.She currently develops a pleasant and creative approach inspired in many types of dance and ways of dancing. 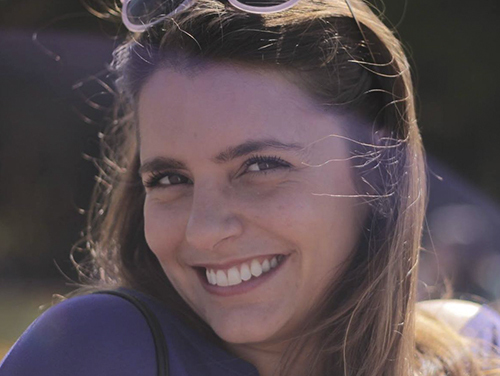 Graduated in Business Administration at FGV-SP, after 10 years of career in the commercial area in Sao Paolo, chose to seek a new space more connected with her purpose. Today she is a resident and professional at Osheanic International, where she seeks to reconcile her corporate experience with her personal interests in Community, Awakening of Consciousness, Meditation, Astrology, Reiki, Mandalas and Handicrafts. She fell in love with the Circular Dances while residing in Piracanga in 2016, then becoming a Circular Dance facilitator from Dedo Verde community in Sao Paolo – Brazil. She finds herself on the Circular Dance her best space of presence, lightness and joy and love to share this experience of connection with herrself and with the other. 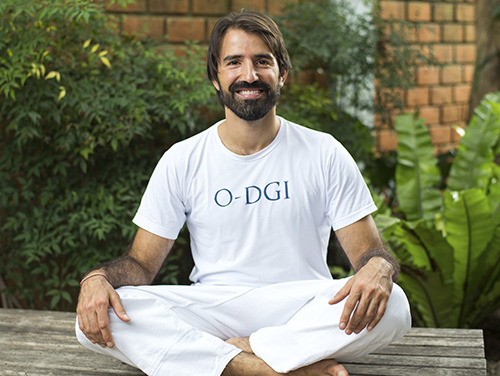 Guilherme Ashara Counselor ‘with training at Osho Multiversity in Puna – India, specializing in Transpersonal Psychology (Center for Human Development – Fortaleza); Family and Organizational Constellation with Bert Hellinger, in supervised courses had therapeutic cases supervised by Bert Hellinger himself and has an extensive training in Neo-Reichian Body Therapies, such as Renaissance, Osho Pulsation, Trauma Healing, ARUN-Touch Consciousness, among others. Facilitates Trainings in Family Constellations, Body Therapies and Meditation. A passionate seeker since 1998, when through contact with therapists and experiences in groups, began her process of self-discovery. She is a certified therapist in: Learning Love with the respected therapists Krishnamana and Amana – USA; Rebirth with Leonard Orr (creator of the technique) – USA; Yoga Ayurvedic Massage with Kussum Modak – India; Osho Prana Healing (Energetic Healing) with Upadhi – Italy and has Level II certification in Reiki. She also works for Path of Love, Tantra Trauma and Conscious Relating. Her work is inspired by the giving and awakening of love, welcoming the light and the vulnerability so that each person awakes a new look about himself. In her individual work, she uses breathing, massage and energetic reading to promote the conscious expression of each being. A work that also aims to bring the reconnection through the body, accepting its limitations and remembering the beauty of being who you are. She has experience in training in the United States, Italy, Brazil and Sweden. Psychiatrist with Masters Degree in Psychiatry from the School of Medicine of the University of Sao Paulo (HC-FMUSP). Throughout these 12 years of psychiatric and therapeutic practice she created Somatopsychic Psychiatry that integrates the knowledge of psychiatric medicine and neurosciences with bioenergetics and meditation. She is an Integrative Caregiver at UNIFESP, coordinator of the meditation project at the HC-FMUSP pathological gambling outpatient clinic, where she also serves as a supervisor for the care of internal medical students and residents of psychiatry. Akhila is Facilitator of Mystic Rose Meditative Therapy from the OIMR – OSHO International Meditation Resort – Pune / INDIA. Therapist of Bioenergetics and facilitator of active meditation formed by Namastê-RJ. Level 3 in Reiki by Anima Mundhy / SP – Brazil. 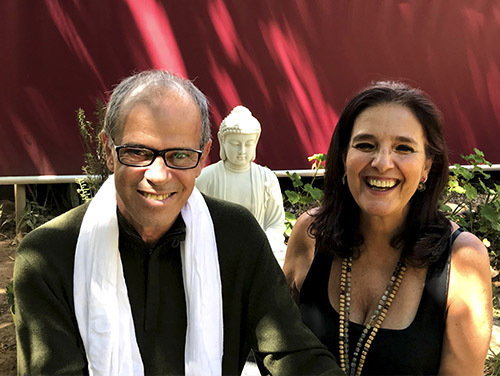 Responsible Doctor and facilitator at the OSHO Meditation School and the MULTIPLICATORS Program at Lotus – Therapies and Meditation School in São Paulo where she is the Co-founder Director. 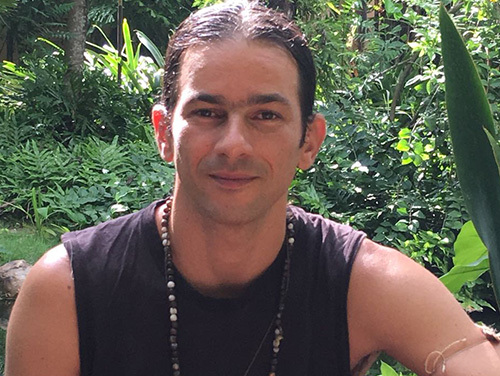 A lover and devotee of the Great Mother Earth and practitioner of permaculture, Satbodhi is a Master in Ma’heo’o Reiki, trained in Ayurvedic Yoga Massage, Fire Guardian in Shamanic Rituals and Osho sannyasin. With these instruments added to a practice in natural medicine through Aromatherapy, Crystals and Phytotherapy, found a path of pure beauty and love. Co-founder of the Urban Permaculture Project Casa AmarEla in Salvador / BA – Brazil, Sat, as it is called by friends, has the opportunity to share his learning and, above all, his dreams, walking, believing and experiencing a simple life full of love and abundance. 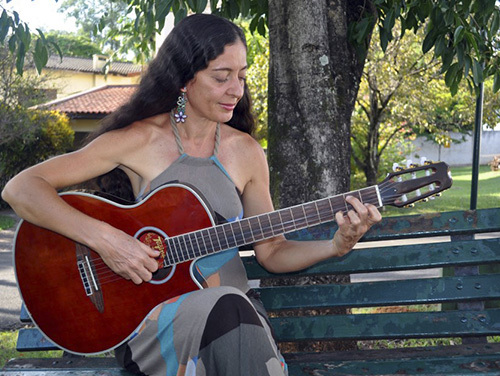 Graduated in Psychology at UFPB – Brazil, Geetesh has been developing self-knowledge and personal growth work since 1979, studying and working with various techniques of holistic therapies. 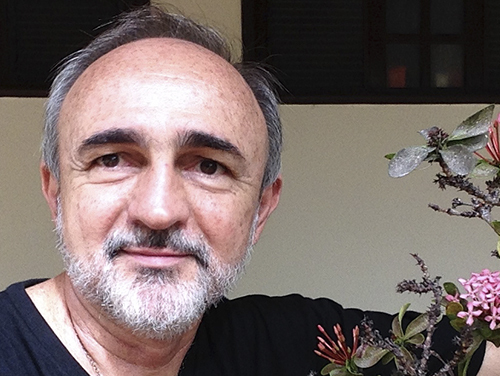 Since 1996 he has been giving Ayurvedic Massage Trainings and Courses in several cities in Brazil and Portugal. 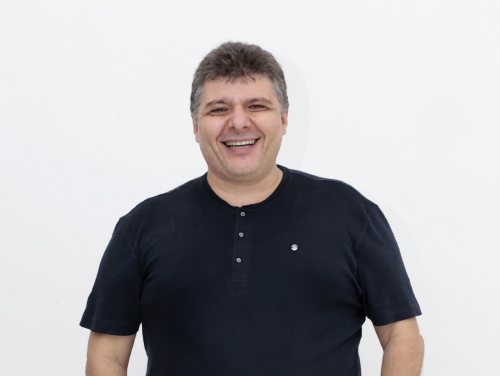 In 1998 he became familiar with the work of Family Constellations, studying and accompanying several therapists in Trainings and Workshops, finishing his training in 2002 when he began his work as a facilitator. In 2012 he had the opportunity to recycle and expand his knowledge about constellations with Svagito. In 2007, he deepened his knowledge of Ayurvedic Medicine and Massage with the Master Kussum Modak and Dra Art. He also did several training courses at Osho Multiversity (Poona – India). AUM leader trained at Humaniversity (Netherlands). Also trained in Rebirthing, he uses Aura-soma, Florais and Bioenergetics as supports in his individual and group work. 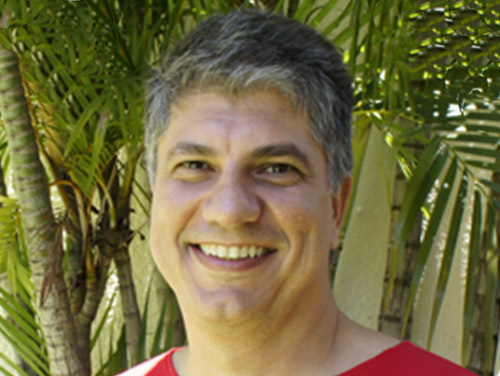 He is currently a member of Osheanic International’s management team and staff of therapists in Brazil. 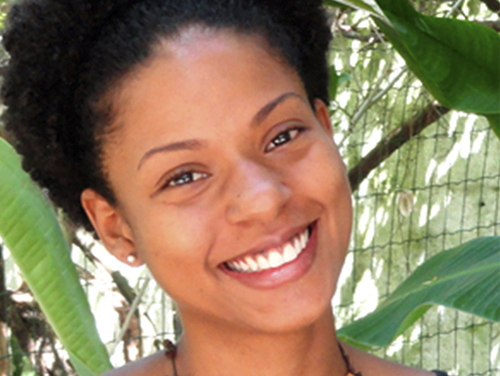 She has been working with Aromatherapy for 7 years and is an Aromaflora accredited lecturer in Bahia where she facilitates courses and experiences in Aromatherapy. Kamini is a researcher at Cold process – Saboaria Natural e Ecologia Doméstica with elaboration of biodegradable products for environments. Facilitates Women’s Wheel and the Worldwide Synchronization of Blessing of the Uterus. Initiated in Ma’heo’o Reiki and Yoga Ayurvedic Massage. Architect, entrepreneur, creative director of Casa Caucaia Inteligent Scenography and meditation enthusiast, decided to combine his talent and creative capacity with the acquired learning through years of practice and study of the most diverse techniques of meditation and presence and Created the UMMM Creative Meditation, a movement full of energy, which seeks, in a light and fun way to bring people to the wonderful world of the here and now. Her experience is to be transported and transport through the sound of the universe. Her mission is to recognize and express how much we can do when we perceive ourselves as instruments that we are. Her purpose is to listen and give voice to the sonorous encounter of art and healing. Music, its architecture of cycles and rites, is her guide. Her work is to be in dialogue with the expression of life and being, in search of meaning and connection, listening to the chorus of ignored voices, and ensuring space for so many hidden narratives. Her walk is through the territories of listening and expression: from the subjective to the literal, from the artistic to the therapeutic, from the essential innate that asks for transformation, from the body to the sound, from the sound to the being. Colombian psychologist, professor of Kundalini Yoga, she has focused her seek in Evolutionary Astrology and Jungian Psychology. She lived 10 years in the White Condor Mountain. 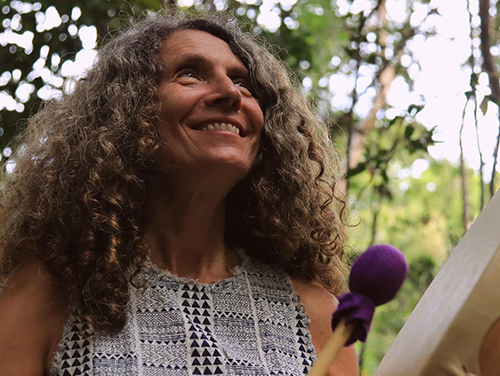 Currently lives in Pucón where she gives individual sessions with the Shadow and Reading of the Soul where she can deeply harmonize her knowledge and intuition to guide people in their daily life challenges. She is part of the organizing team of Condor Blanco Expeditions coordinating every year trips to India, Bhutan, Bali and Peru. 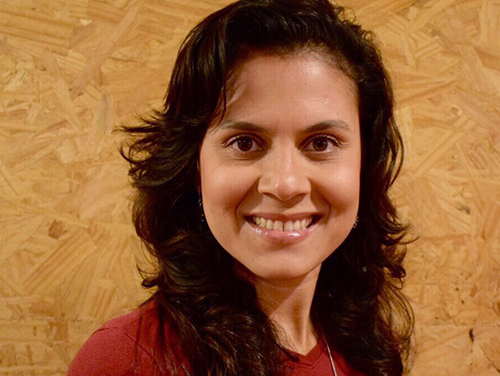 Founder, coordinator and facilitator of the OSHO Meditation School and the MULTIPLICATORS Program of Lotus – Therapies and Meditation in São Paulo where she is Co-founding Director. 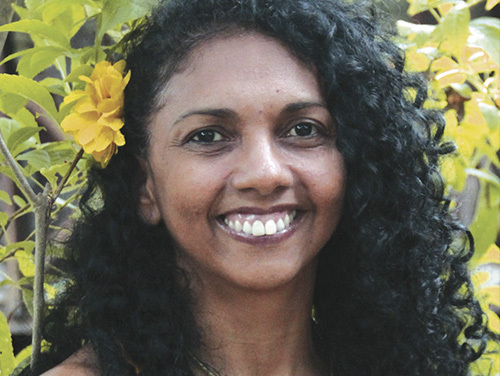 For 23 years Dayita has been on the path of self-knowledge through body, movement, art and meditation where she has developed a wide experience with work in group dynamics. She has facilitated training for Mystic Rose Meditative Therapy and deepening for facilitators of Osho Active Meditations at the OIMR – OSHO International Meditation Resort – Pune / INDIA. 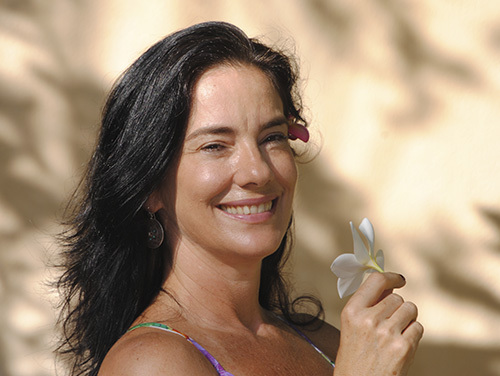 Bioenergetic Therapist with training at Namaste Porto Alegre; Actress and Art Educator Graduated in Performing Arts at UFRGS where she also attended the School of Physical Education (ESEF / UFRGS). Level 3 in Reiki by Anima Mundhy / SP. Integrative caregiver by UNIFESP, specialist and external invited teacher of Active Meditation, of the Postgraduate Course Theories and Techniques for Integrative Care; and member of the Transdisciplinary Team of the Neuromuscular Disease Research Outpatient Clinic – UNIFESP – São Paulo – Brazil. Rebirth therapist and member of the Osho Rebirth Center since 1993. Learning Love therapist and member of the Learning Love Institute since 2002. Therapist in S.E. (Somatic Experience) and member of the Brazilian Trauma Association since 2013. Somraaj has an academic background in Psychology. Therapist working with Rebirth, Family Constellation and Zen Counseling. Specialist in Water Rebirth. He seeks to detect the Spiritual Strength of each client as a spark that can trigger a reorganization in life and in living.